Spark Joy & Happiness In Your BeautiFUL Life. 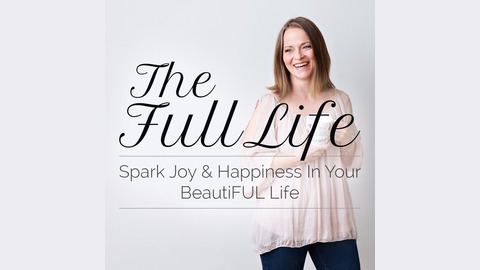 Every week on The Full Life, recovering people-pleaser and Happiness Coach, Amanda Weber shares inspiring true stories coupled with “easy-to-squeeze-in” practices that will spark joy and happiness in your beautiful life. With FULL as the new BUSY, you’ll enjoy a greater sense of wellbeing; more acceptance, less guilt (yup..really! ), more patience, strengthened intuition and less second-guessing in your daily life with family, friends and career. It’s all about building a life YOU love WHILE you love and care for those around you. Find out more at www.AmandaMeditates.com. There is something I do EVERY MORNING, that I kid is more important than flossing my teeth (but I’m enough of a rule-follower that I do both), and it’s a huge part of my journey toward enjoying The Full Life. It doesn’t have to take a lot of time (3 minutes the science says, and I can corroborate that). It’s a positive morning ritual. Here is the skinny: Just a few minutes spent consuming negative news in the morning can affect the trajectory of your entire day. Research done by The Institute for Applied Positive Research showed that people who consumed as little as 3 minutes of negative news before 10am were 27% more likely to report their day as BAD, 6-8 hours later, regardless of what happened in their day. 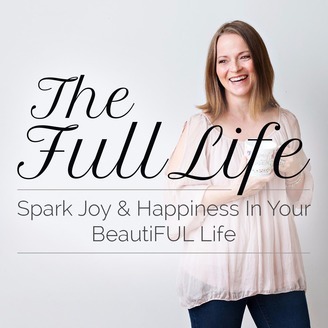 Episode #42 is all about how to have a positive morning ritual, even if you have kids, dogs and a job! For all the show notes with links I discuss, hope over to www.AmandaMeditates.com/podcast . And, have a beautiFUL day!